his fleece was gifted to me by one of my shearing customers. It is a Light Rose Gray and has white as its most significant secondary color. There is little or no black. It was first shearing for this young alpaca boy. As is quite common for yearling alpacas that were not shorn as cria, he had a lot of veg in his fleece. I put the fleece through the carder three times and got most of it out though, as you can see from the photos, I didn't get it all. 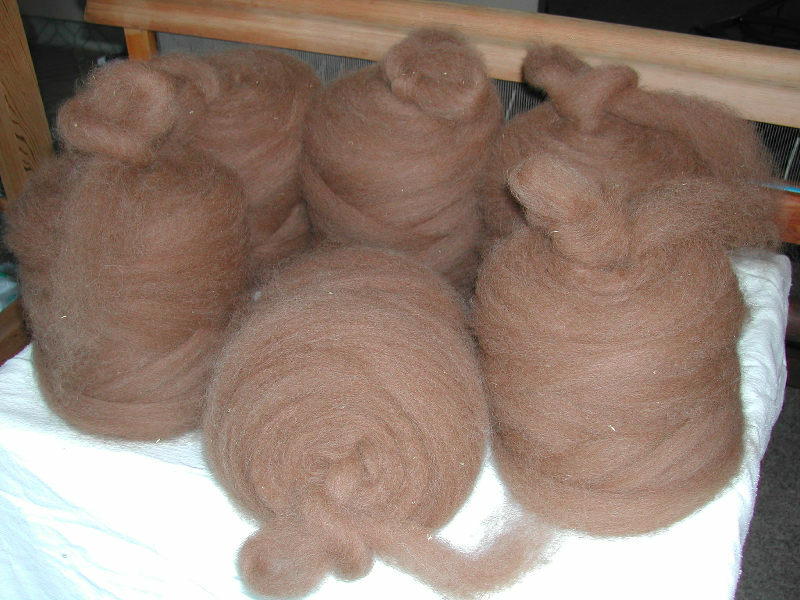 Still, this is a nice fleece and made pretty good roving.